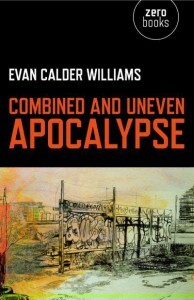 Combined and Uneven Apocalypse is Evan Calder Williams’ “theory of the apocalyptic fantasies of late capitalism, manifested above all in the cinema and the wider cultural, political, and economic landscape from the end of the ‘60’s to now.” Despite routing his analysis through the indirections of cultural criticism (e.g. unpacking in great detail the ideological underpinnings of zombie films and our often facile surface readings of their meanings), Williams is after something quite concrete: “[Understanding] Capitalist apocalypse is the possibility of grasping how the global economic order and its social relations depend upon the production and exploitation of the undifferentiated, of those things which cannot be included in the realm of the openly visible without rupturing the very oppositions which make the whole enterprise move forward.” Hence the book’s aim to offer “the optic onto this era” – “a necessary optic onto the flourishing wastelands of late capitalism” – that will license both a revolutionary politics and theoretical orientation appropriate to our apocalyptic times. Yet the topics of the three essays that Williams fixes upon to organize his theory are largely on point. The first essay in the book tracks the evolution from cyberpunk, to steampunk, to “salavagepunk” – “the post-apocalyptic vision of a broken and dead world, strewn with both the dream residues and real junk of the world that was, and shot through with the hard work of salvaging, repurposing, détourning, and scrapping.” There is a natural linkage here with the third essay (concerning the ravaged cityscapes left in the wake of uneven capitalist development) and the second essay, which takes up the collective nightmare fantasies of zombie films. Just think back to the feared “zombie banks” of the 2008 financial collapse, or to the current firesale of Greek industries, which has coincided with a renewed focus on occupying and repurposing urban territory in Syntagma square (Athens), Tahrir square (Cairo), and the many plazas across Spain occupied recently by the indignatos, and you can see how Williams’ theoretical preoccupations are not as peripheral as they may initially seem to be. As should be readily apparent at this point, the theoretical register that Williams occupies is marred by a level of abstraction and generality that betrays another inheritance – that of critics after Theodor Adorno who, in a world demanding immediate payoffs, find virtue in levels of obfuscation. The subtitle – Luciferian Marxism – is a good indication of the superfluous nature of some the analyses in the book (for a more focused treatment of the subject you can read The Devil and Commodity Fetishism in South America by Michael Tausig). While there are passages of great insight (e.g. drawing out the biopolitics of zombie films to show “how real abstractions work on real bodies”), the movement from one object to the next (usually a film, but sometimes a piece of literature or a comic book) yields an uneven harvest of productive concepts. This stands in contrast to other recent works published by Zero Press – Capitalist Realism by Mark Fisher, Non-Stop Inertia by Ivor Southwood, or Militant Modernism by Owen Hatherly – which are shorter and more targeted in their treatments of similar subject matter…and most importantly provide a more consistent set of critical insights. 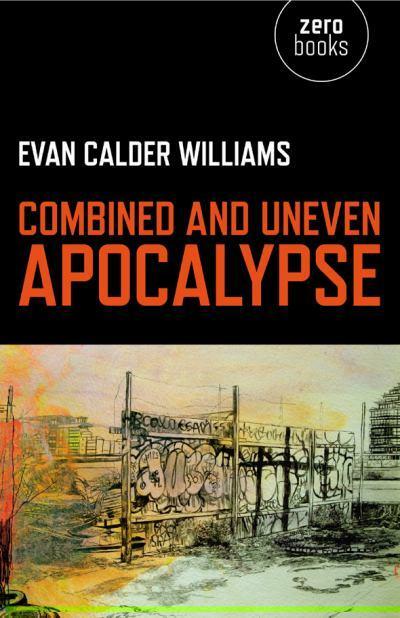 In this respect, Combined and Uneven Apocalypse is worth a look, as his “optic onto this era” could spur refinements that can go even further in advancing the fine and important work being done over at Zero Books.